Why do so many applications require permission to read the phone state and identity? For example Quickpedia is a Wikipedia portal, but wants access to the phone. What is the explanation for this? 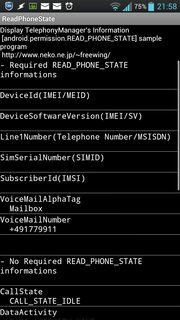 It allows the App to read a unique ID (a phone identifier named IMEI) that's associated with your phone. It can therefore help with copy-protection or the attempt to track the number of users. There is another reason for this than the unique ID. I would guess that half of the apps don't access those values at all. The problem is that for a lower version up to Android 1.5 this permission does not exist. Everybody could access these values without requesting something. Therefore if you create an app that is compatible with 1.5 this permission will automatically be added to emulate the lower security of Android 1.5 because of that you could ignore this permission in most of the times because it tends to be just a compatibility issue. The reason is that Android 1.5 and earlier did not require the application to specifically request those permissions and automatically granted them. Since Android 1.6, those permissions have to be specifically requested by the app. However, if you specify that your application can run on devices with Android 1.5 and less, then that permission is added to the application by default and the market shows that permission as being requested by the application. So in summary, the application may not actually be accessing your "phone state and identity" but if the developer specified that his/her application can run on devices with 1.5 or less then that permission will be shown. This question has been bothering me quite some time. So now, finally, I decided to get to the bottom of the issue. CALL_STATE_IDLE. So no phone call incoming, outgoing, or in progress. No app needs this permission to "background" itself on incoming calls. It's even possible to see whether mobile data are active (DATA_DISCONNECTED; I was on WiFi when taking the screenshots, as you can see in the notification bar), which country you're in, your provider (including some technical data on him), whether you're having a SIM card, or if you're in roaming. 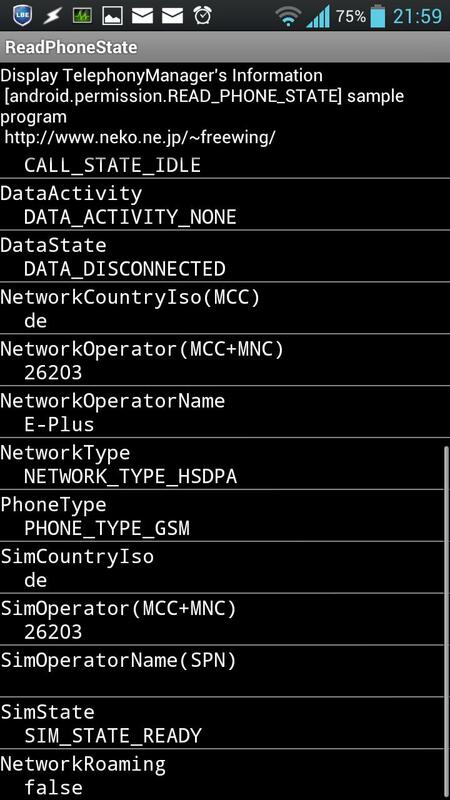 The only things not accessible hence are identifying data: IMEI, SIMID, IMSI, and your own phone number. Conclusion: This permission is only needed for identification purposes, nothing else. Why do so many apps need it then? Because the app in question is designed to (also) run on Android 1.5 and below (easy to find out, as that's listed on Google Play). Likelihoods in exactly this order, IMHO. Google Play policy now forbids apps from getting your IMEI to identify you for advertising purposes. All the ad libraries have been updated now to use the Google-Play-Services-provided "advertising ID", so any that still use the IMEI for this purpose should be reported to Google. 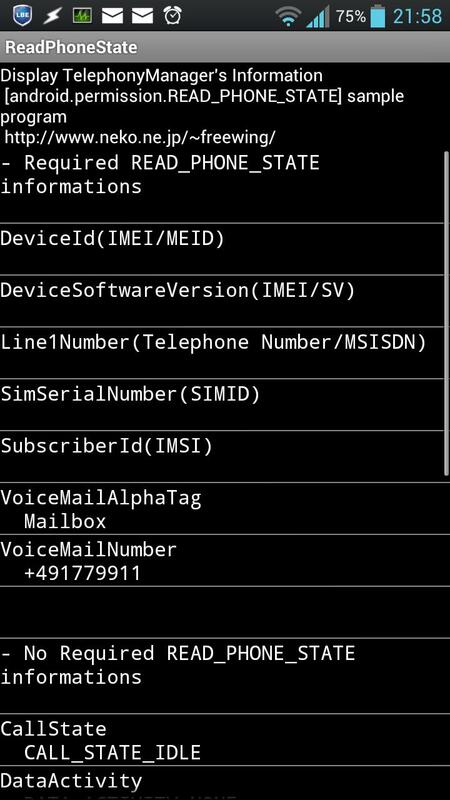 As it's hard for the user to tell what the app is using the IMEI for, you should ask the developer to explain first. 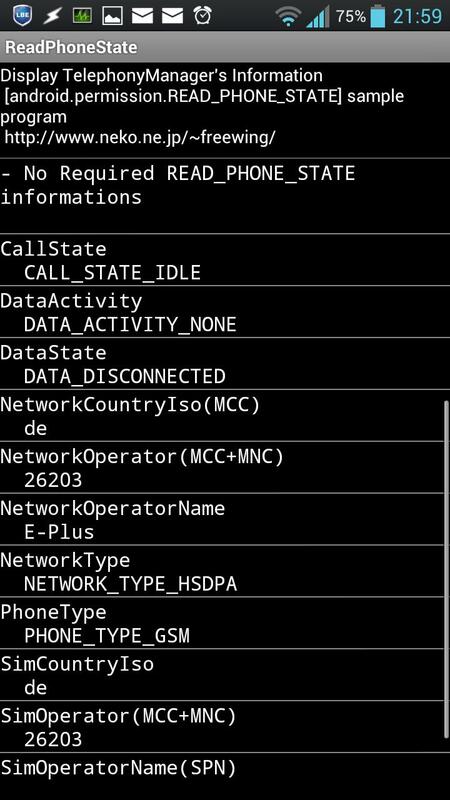 2 Another developer just pointed me to a subtle difference: while the permission is not needed to read the current call status (as I've pointed out), it might be needed to register a listener in order to be notified on changes of the call status (see: Detecting incoming and outgoing phone calls on Android). While there seem to be means of handling this automatically when the system calls onPause, that might not always be suitable: think of your alarm clock. You might not want to have that automatically stopped on an incoming call – especially not when your profile is set to ringer volume "muted". 3 Again a correction from Dan: You only get the default extra permission if your app's "target" version is 1.5. If you target a later version but your min version is 1.5, you don't get the permission added automatically. 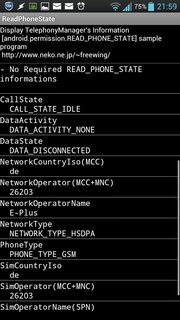 And yes, there's a way to achieve the same (detecting incoming calls) without the READ_PHONE_STATE permission, as e.g. pointed out by Arno Welzel. As an incoming phone call would trigger the ringer, that event could be used with onAudioFocusChange(), which does not require any special permission: if triggered by that, the app could check the CallState (again, without any special permission required) to see whether there's an incoming call. Many ad publishers use this permission to get the Phone ID for all sorts of tracking purposes. There are other ways to get a unique ID, but unfortunately they are buggy in older Android versions (the story is more complicated, see e.g. https://stackoverflow.com/questions/2785485/is-there-a-unique-android-device-id or http://android-developers.blogspot.com/2011/03/identifying-app-installations.html for a more complete story). So if the app uses advertisements, there is a fair chance that the app itself does not actually need the READ_PHONE_STATE permission, only the ad provider does. Is it possible to install an app and exclude some of its requested permissions? Audit app permissions easily in one place? What do Android application permissions mean? Why does this ad keep showing up below my notification bar and how do I stop it? Why do some games ask for calling/SMS permissions? Is Evernote a malicious app? When should I get suspicious over permission requests and when should I safely install an app? Should I be worried about applications with weird looking permissions? Why would the Netflix App want to “read sensitive log data” on my device? Why do applications enforce read-write and read-only permissions for other apps to use it? 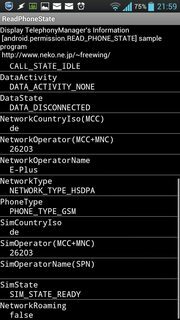 Why do so many applications try to get the SIM and network operator name? Why do many apps (Including the stack exchange app) need the 'send MMS' permission? Is the “read contacts” permission per account or per device?